On Tuesday I was invited to speak to the children in Year 1 and Year 2 about what it was like to live on an island like Katie Morag. 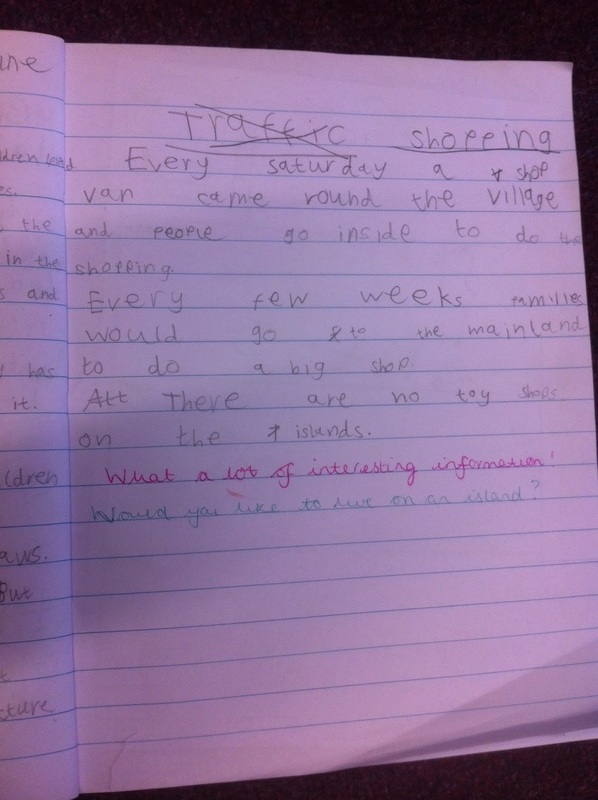 The children were fantastic and they had thought up lots of very interesting questions in five different categories :- School; Shopping; Home life and Entertainment; Traffic and Travel; and Geography and Wildlife. 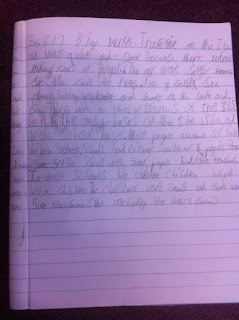 I thought I might be in the classroom for 10 or 15 minutes, but 45 minutes later I was still answering questions! I could tell they had all been good listeners because there were no questions repeated. To finish my visit, I brought in a special Scottish treat for the children. It is called "Tablet" and is a bit like a crumbly fudge. The children (and the grown ups!) seemed to quite enjoy it and several asked for the recipe. The link is below, but I did try to impress that we only had it now and again. A number of the children have popped into the office to say how much they enjoyed hearing about everything and one of them even high-fived me! I felt very appreciated. 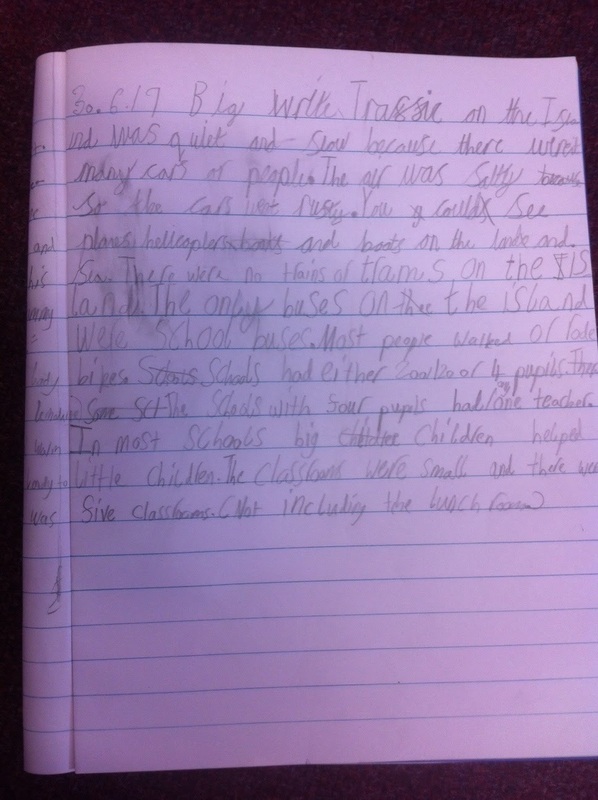 Today the children have been writing about island life and they have produced some top quality work. I was particularly impressed with Cameron's and Eliza's pieces.